Ivan Krastev reflected on challenges to liberal democracy in Central Europe, putting them in the context of a global crisis of democracy. Watch his keynote at the wiiw Spring Seminar. Ivan Krastev is a renowned political scientist who is well anchored in the intellectual spheres of both Western and Eastern Europe. He is Chairman of the Sofia-based Centre for Liberal Strategies and Permanent Fellow at the Institute for Human Sciences (IWM) in Vienna. 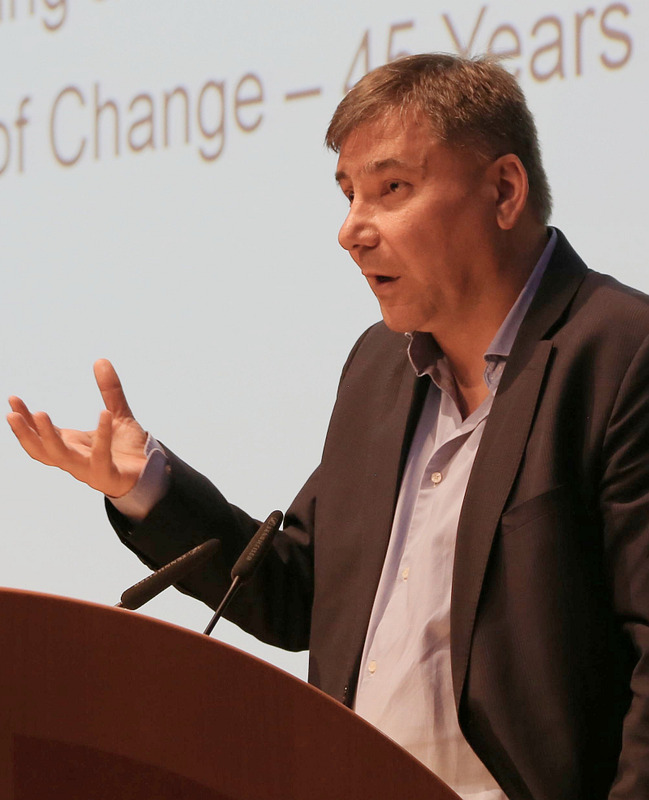 In his keynote speech at the wiiw Spring Seminar on 12th April 2018, Mr Krastev placed the autocratic tendencies in Central Europe in the context of a global crisis of democracy. Mr Krastev also highlighted the various paradoxes shaping today’s societies in Central Europe. These include the combination of strong economic growth (e.g. in Hungary and Poland) with the rise of illiberal regimes, as well as the fact that voters tend to elect Eurosceptic parties while still professing pro-EU opinions. Mr Krastev also argued that part of the explanation for pronounced anti-migration sentiments in the region (in the relative absence of migrants) is the huge mass emigration of the young and well educated that has taken place since the late 1980s, and given rise to dramatic population shrinking and ageing.